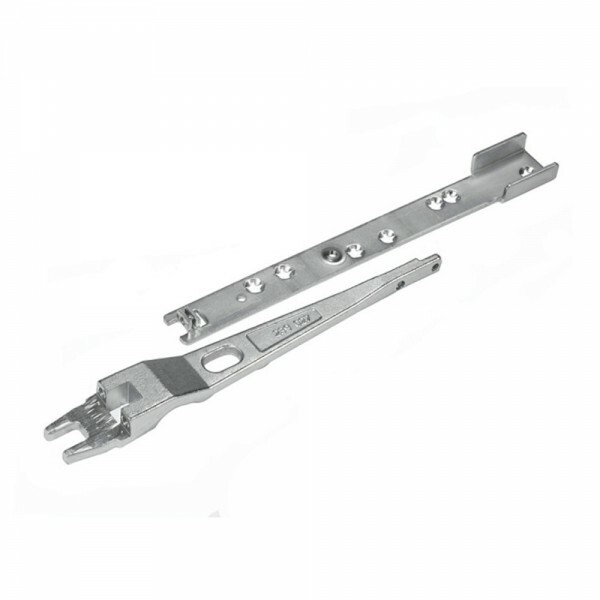 The Dorma RTS85 end load installation arm is an end load arm for use with transom door closers and top rails with a minimum 21mm channel depth and 35mm width. End-load installation is achieved by offering the door, in the open position, onto the floor pivot and spindle simultaneously. The floor pivot locks automatically, connection to spindle is secured with a clamping piece.